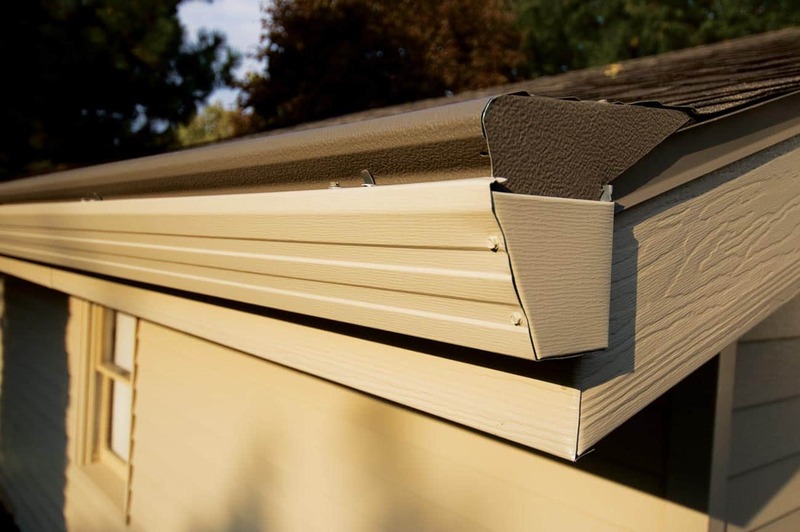 Schmidt Siding & Window has been delighting customers with a gutter protection system, Gutter Helmet®, for decades. A nose-forward design allows the rain to go into the gutter but keeps all the leaves and debris that may plug up the gutter out. You’ll never have to clean your gutters again. Clogged gutters overflow, causing rot in walls and soaking basements and crawl spaces. Gutter Helmet® keeps your gutters cleared of leaves and debris in all types of weather for truly comprehensive protection from water damage. No more gutter cleaning means less roof traffic, so Gutter Helmet® protects your roof and shingles, too. It also helps protect the landscape under your gutters from overflow damage. And, because there will be no standing water in your gutters, insects will be less likely to breed. There are few things in life you invest more time and money in than your home. So naturally, when it comes to taking care of it, you want to do whatever is necessary to ensure that your home retains its value. That’s precisely what they had in mind when developing Gutter Helmet® — the original gutter protection system. Thanks for your help in making decisions, and for your fine work installing our siding, brick and Gutter Helmet. We have appreciated your service over the years. It's good to see the finished product turn out so well!